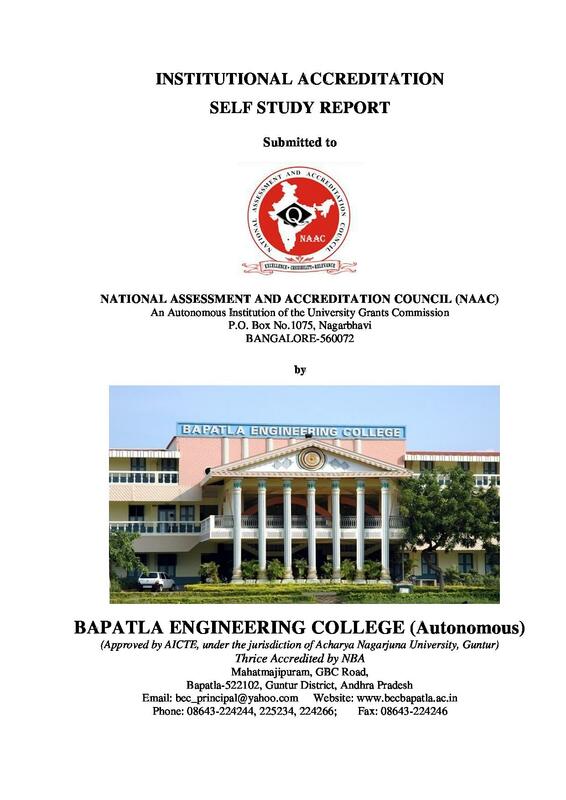 Bapatla Engineering College (BEC) is a Private (Autonomous) Institute located in Guntur, Andhra Pradesh and was established in the year 1981. The institute is accredited by the National Board of Accreditation (NBA) and The All India Council of Technical Education (AICTE). 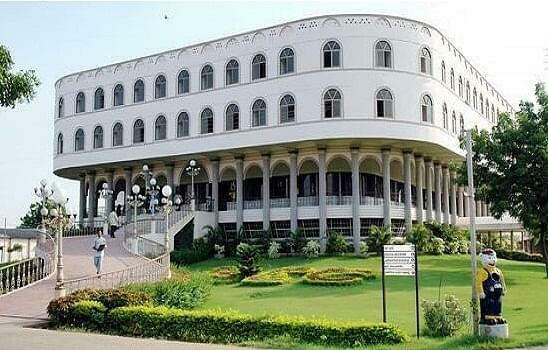 BEC offers B.Tech., M.Tech., MCA, MSc. And Diploma courses. Admission to M.Sc. and Diploma courses will be done on the basis of Merit. Whereas for final selection in B.Tech., M.Tech. and MCA, the scores obtained in external Entrance Exams will be considered. 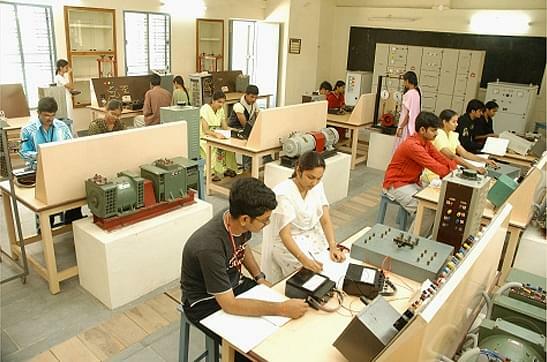 Admissions to Diploma in Polytechnic are done on the basis of marks acquired by a candidate in 10th Standard. Final Selections to the program are purely based on Merit. 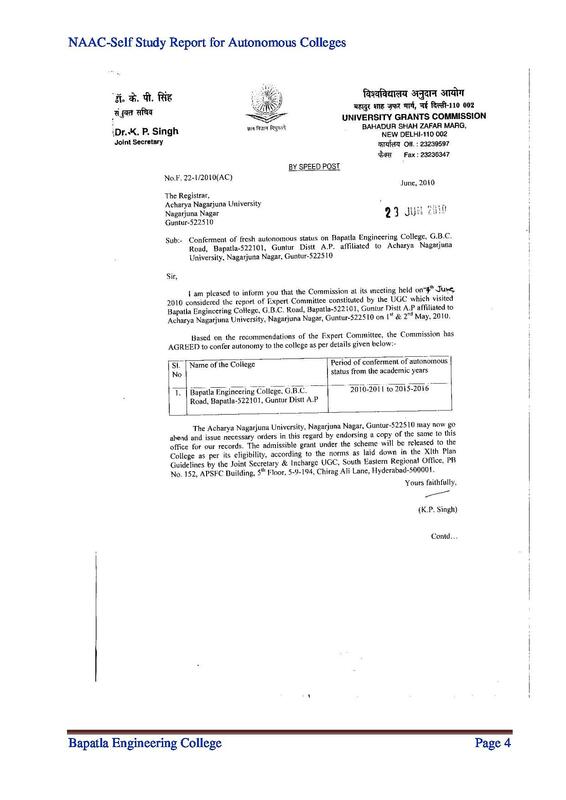 Admissions to the B.Tech. program are done on the basis of marks acquired by a candidate in 10+2 (Science Stream) or equivalent and JEE Main/ AP EAMCET Entrance exam. 10+2 or equivalent – Minimum 50% marks. JEE Main/ AP EAMCET Entrance Exam – Valid Score. Final Selections to the program are based on allocation of seats through Counselling conducted by the concerned counselling Authority. Admission to the M.Tech. and MCA Programs are done on basis of marks acquired by a candidate in Bachelor’s Degree (relevant Stream) or equivalent and required Entrance exam. 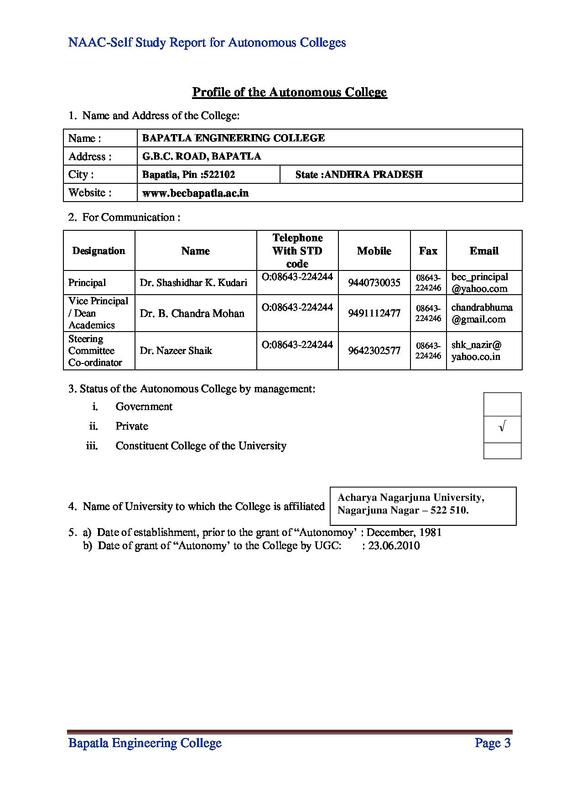 Bachelor’s Degree – Minimum 60% marks. GATE/ AP PGECET Entrance Exam – Valid Score (for M.Tech.). AP ICET Entrance Exam – Valid Score (for MCA). Final Selections to the M.Tech. and MCA programs are based on allocation of seats through Counselling conducted by the concerned counselling Authority. Whereas admissions to M.Sc. program are done on basis of Merit. BEC offers Placements opportunities to candidates through their Placement Cell, a working body which counsels and provides training to the job aspirants before appearing for an interview. Computer Lab with latest equipment. Overall it was a good college compared to the rest of the colleges around. My experience was good there. But still you will have the empty feeling which can't be fulfilled. 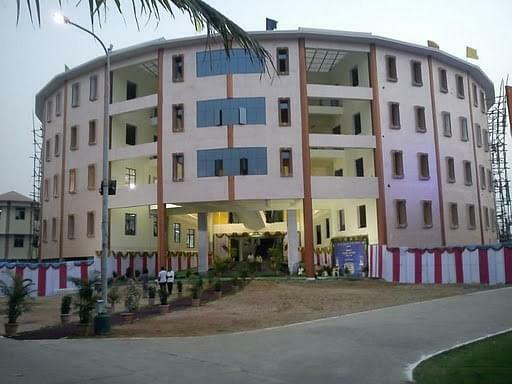 "one of the best college in coastal andhra with university facility"
GATE 2013&score:323 and opted seat in pgecet 2014 counselling,i had joined college in 2014 november 17.